Floyd Lau founded Amptek Technologies in 2002 as an end to end engineering design company, but it has since grown to produce its own product brand that is now entering the IoT and lighting market. Floyd has worked as an engineering executive for over 25 years, designing digital communication hardware and embedded system products. Floyd also has a Master of Science degree in Electrical Engineering from the University of Saskatchewan and a Master of Business Administration from Wilfred Laurier University. Prior to founding Amptek Floyd worked for high-tech companies in Canada, Hong Kong and Taiwan. His diverse skills allowed him to work at the forefront of numerous projects, including designing elements of pagers (for those of us who remember them!) and various other digital communication devices. After working for several years in Asia Floyd made the decision to move back to Canada, primarily to be closer to his family that reside in the Greater Toronto Area. When Floyd returned to Canada he brought with him his experience in digital communication and after the founding of Amptek he decided to not only act as a consulting firm but to develop his own brand of products that would benefit end-users. Continuing to think along the lines of communication Floyd turned to the rapidly expanding world of IoT and began developing ways for machines to better communicate with each other and with the individuals that control them. Out of this was born iCon (Internet Connectivity), a multi-purpose IoT hub that has a variety of uses and operates via wi-fi and Bluetooth connectivity. The iCon allowed Floyd to move Amptek forward and begin taking the new product into industry sectors that were now embracing IoT and looking for more automated system management. The next step for Floyd was to decide on an initial product that he could couple with the iCon that would attract buyers seeking to advance their IoT capabilities and lighting seemed to be one of the fastest growing markets for advanced connectivity. Amptek has now produced the BLE dimmer, a Bluetooth low energy, 0-10V dimmer for LED lights. The BLE dimmer allowed Floyd to begin production of a mobile controlled fully automated lighting system with residential, commercial and industrial applications. The BLE dimmer controls a dimmable LED driver that is paired with each LED unit. The BLE dimmer is controlled via Bluetooth signals that are sent from the iCon and then it relays the message to all other dimmers that have been connected to the system. The iCon is controlled through an app on your phone or tablet which can set timers for lights in designated areas and allows for remote access to your system. Amptek is also currently developing an occupancy sensor to complement the BLE dimmer. EIN was able to test the system as a new customer would and it was very user friendly. Floyd has clearly taken his communication skills and applied them to develop a platform for any user to connect their lighting system using his iCon platform. And it doesn’t stop at lighting, Amptek can apply the system for IoT control of nearly any automated building system making it a valuable tool for the rise of Smart buildings. 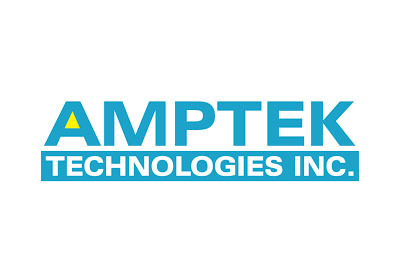 Amptek also has a philosophy that is highly customer driven. If there is ever an issue with their products their service line connects customer directly with the engineers behind the tech. Currently Amptek is providing Delviro Energy with their iCon and BLE dimmer to deliver a fully encrypted automated lighting system for their clients and to provide Smart LED dimming for the Del Grow LED horticultural Luminaries. Floyd is very excited about his work with Delviro and even more excited to continue driving Amptek Technologies forward with further products that will provide IoT options for use in Smart building construction and retrofitting of outdated building control systems. Floyd continues to focus on communication, only now he is working more on letting machines talk to one another than providing a platform for people to connect through technology, and after working in various markets he is happy to have founded his company here in Canada but notes that he has maintained his contacts in Asia and continues to leverage the industry understanding he gained from working here and in Asia.